Everyone Can Sing. Some People Just Don’t Sound Good! Turn Your Beat Around!! I have a lot of fond memories about my Mawmaw. I used to laugh at how she would put things. If someone were socially awkward in some way, she’d say, Why, they’re just plum backward. As I was going through Facebook this morning, I ran across my memories for today. 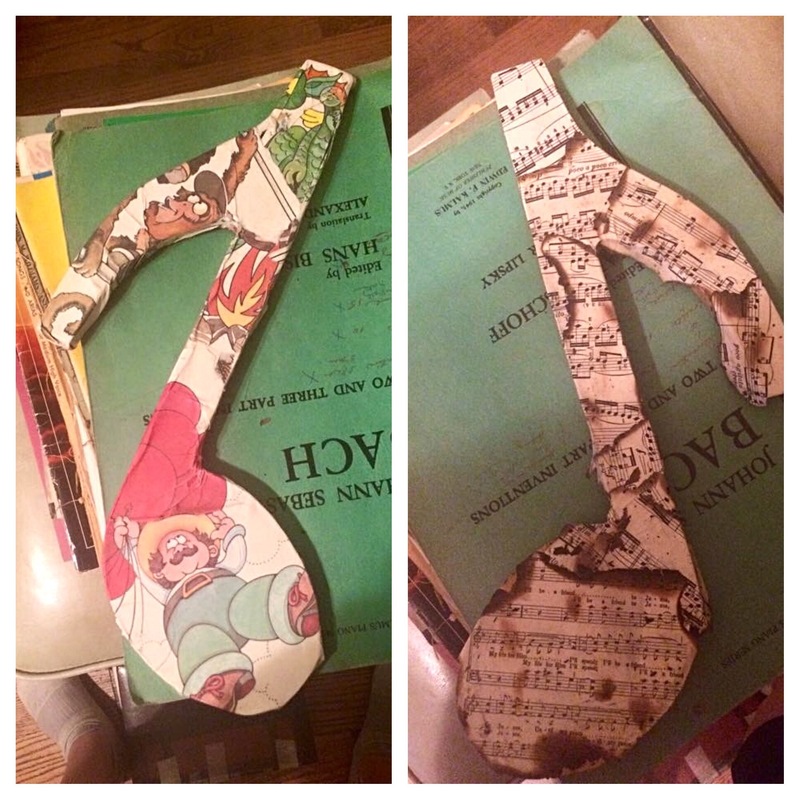 Last year, our son, Tucker and I had made a decopage music note for a class at church. I remember the night we made them, I noticed that Tucker had decopaged the wrong side of the music note. His note was backwards. I had to laugh at the fact his note was backwards and that he had used comics to cover it. To say Tucker was quirky after his TBI would be an understatement, so it fit him to a tee! Every single time I would look at this piece of artwork I would smile. The fact of the matter was that Tucker was indeed a tad bit backward. We made those notes a year ago, and back then, the tune Tucker was singing (so to speak) was not always a very pretty one! You might say his song was a tad backward. Having suffered a TBI, plus struggling for years with drug addiction, did not make for a beautiful, happy tune. BUT GOD has a way of changing one’s tune! Amen?! Today, Tucker is singing a different tune! God has turned his notes around and the song I’m hearing is beautiful and sweet! It’s no longer jumbled and hard to understand! God put a new song in Tucker’s mouth, a hymn of praise to God! And because of that?? Many will see and fear the Lord and put their trust in God! *Psalm 40:3* And what He’s done for Tucker, He can do for anyone! All you have to do is give Him a chance! If you have a loved one who’s caught up in sin, keep praying and never give up! No one is too far gone for God! If it’s you personally who’s caught up in sin, and you don’t see a way out; don’t be too ashamed to ask for help! None of us can do life alone! God wants to give all of us a new song! Stop living off key and backwards! Allow God to make your life into a beautiful song! Click on the link below to hear my original song. God is so good! Just do direct download if you don’t have the Dropbox app! Posted in Daily devotional.Tagged humor, Inspirational, restoration, songs. Previous Post Take A Trip To The Dump And LET IT GO! Next Post Signs! Signs! Everywhere Signs! Here’s Your Dang Sign!